Back of Beyond Baking: Christmas Gifts, back of beyond style! Christmas Gifts, back of beyond style! Every year as well making christmas cakes and Puddings as gifts I try and make something yummy for my work colleagues. Last year I made Shortbread that was such a hit I had to give out the recipe, which I know has been used by at least one of my colleagues. 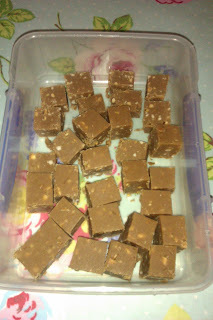 This year I decided to have a go at Sophie Dahl's peanut butter fudge which looked really easy to make. I can happily report that it was dead simple to make and is really delicious, although a bit sickly if eaten in large quantities. Melt the butter in a saucepan over a medium heat. Stir in the brown sugar and milk, and bring to the boil for 2-3 minutes, without stirring. Remove from the heat, and stir in the peanut butter and vanilla seeds. 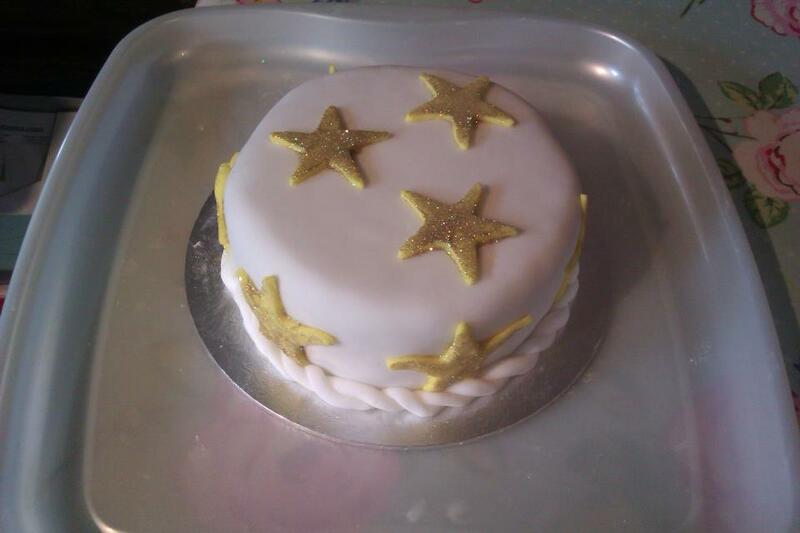 Place the icing sugar in a large bowl, and pour the hot butter and sugar mixture on top. Using a wooden spoon, beat the mixture until smooth. 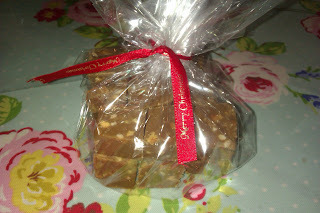 Pour into a 20cm/8in square baking tray, and set aside to cool slightly, then place in the fridge to chill completely. 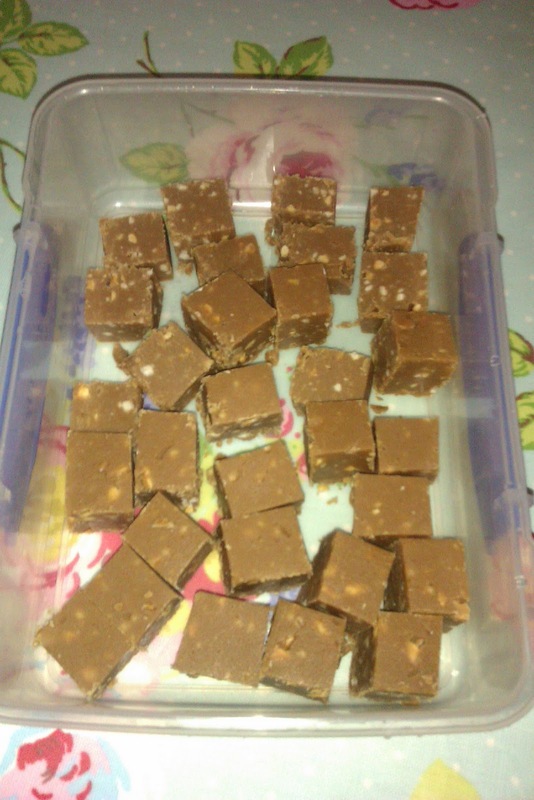 Cut the fudge into squares with a sharp knife, turn out of the tin and store in an airtight container. 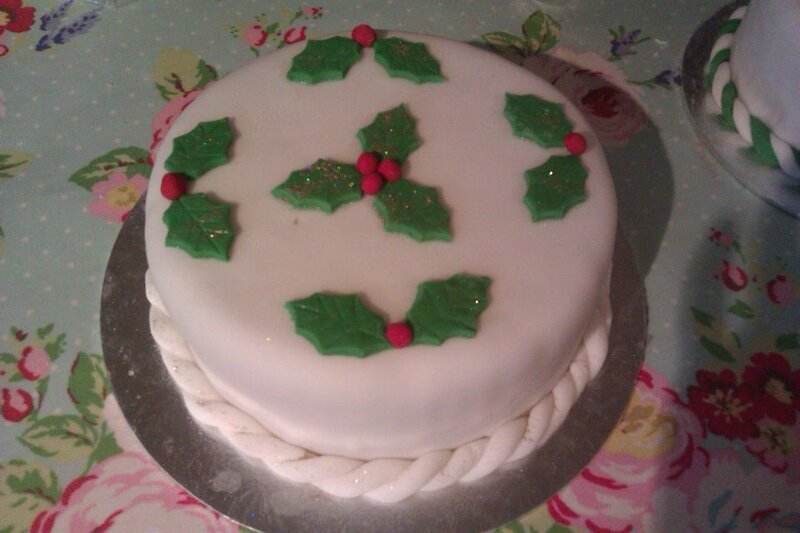 I finally finished decorating the three remaining Christmas cakes this afternoon. 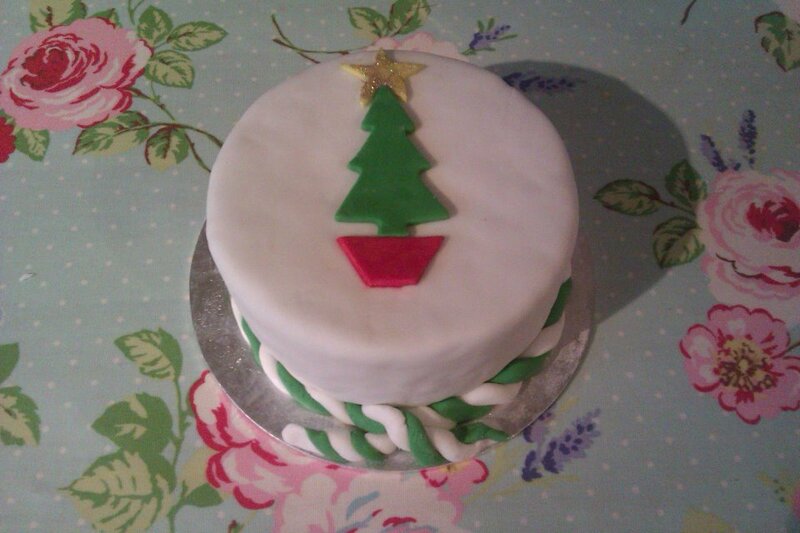 My decorating is always simple ( mainly because my decorating skills are very amateur) but I think quite effective. They now await packaging either in festive patterned cellophane or in a box made by my very clever husband.